Welcome to Mountain Kids Louisville! My name is Anna Narvaes, I am the owner of Mountain Kids Louisville and mom to three awesome and very energetic kids: Francesca, Catalina and Ceruleo. As a Mom of three I am well versed on the challenges and joys of being a Mom. I believe this experience gives me a unique perspective when creating and managing programs at Mountain Kids. 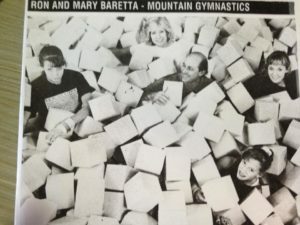 A tried and true family owned business my parents, Ron and Mary Baretta, founded Mountain Gymnastics Training Center in Fort Collins, Colorado in 1976. My Dad, Ron, was a collegiate gymnast, WAC all-around champion and 2002 Colorado State University Sports Hall of Fame inductee and my Mom, Mary, held a BA in Dance. 40 years later, their vision continues both in Fort Collins and at Mountain Kids Louisville: To provide an opportunity for children to grow in confidence and physical ability through a variety of activities in a safe and positive learning environment. Their commitment to safety, fun and learning and the professional staff to see it through provides the foundation for their hope that all children will come through their programs with a lifelong love of learning. It was this vision, which inspired Mountain Kids Louisville. I spent my life growing up in the gym, progressing into a successful career as a national competitive gymnast along with my two sisters, Bree and Mariah Baretta. After receiving a B.A. from Colorado State University and a Masters in Real Estate Finance from the University of Denver, I realized I missed working with kids. What started out as a small movement education center in 2004 has grown into a thriving gymnastics and dance school with an incredible staff who love what they do! Therein lies the success of Mountain Kids, a staff that is truly committed to the success and safety of each and every student. Our gymnastics coaches are kind, caring, knowledgeable, and are focused on promoting happy, healthy, confident kids! Additionally, our dance faculty is one of the most highly trained, professional faculties in the area. 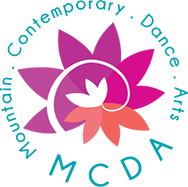 Each member is a professional dancer by trade, formally educated and each truly offers an inspiring and healthy approach to dancing. We strive to provide a family friendly atmosphere, from making registration easy, to positive class participation, to community events. We want our families to feel right at home from the moment they enter our facility. We hope you will join our Mountain Kids’ family. We know you will enjoy the amazing benefits of your enrollment: free open gym, discounts on birthday parties and special events and the best instruction in Gymnastics and Dance in the area! Thank you for visiting Mountain Kids and enrolling your student(s) in one of our positive programs. We gratefully acknowledge the amazing staff we havehad the privilege to work with over the last 40+ years and the parents and children who have encouraged, supported, inspired and challenged us to keep going, keep improving and to never forget what we try to teach our students – that learning and growing are FUN! Family friendly schedule: bring more than one child and age group to class at the same time. From our Louisville, CO, gymnastics studio, Mountain Kids Louisville offers gymnastics classes and summer camps, for kids and toddlers, throughout Boulder County including Lafayette, Broomfield, and Erie, Colorado. Contact Mountain Kids Louisville Today!